All classes are on for today, Tuesday, January 29, 2019. Each week we will show you how to survive and escape real-world situations through proven safety and survival strategies. 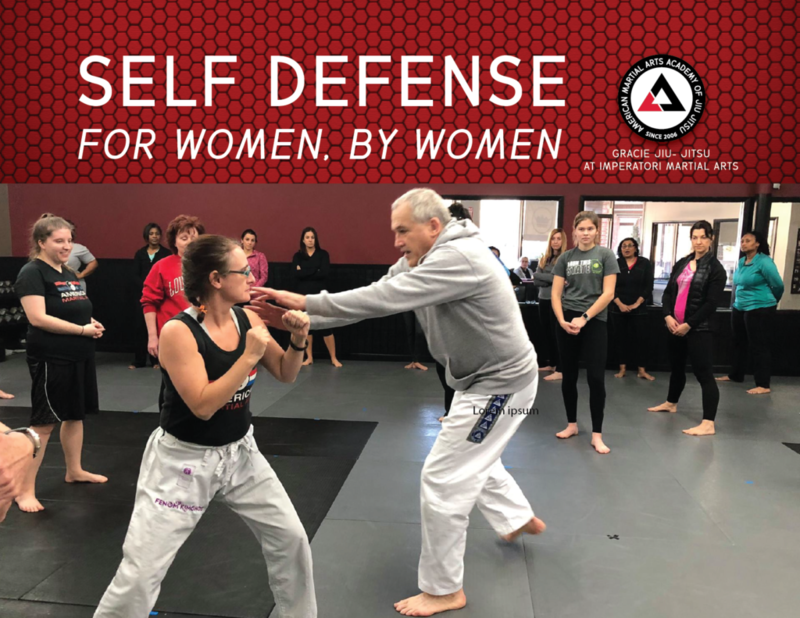 These vital lessons show how women of all sizes, ages, and fitness levels can survive and escape dangerous situations, giving YOU the edge over someone who means you harm. Based on Gracie Jiu-jitsu, our techniques emphasize leverage and body mechanics over size and strength. You will be empowered as your awareness and physical tools increase. In addition, you will lose weight and get into great shape. Classes are on Wednesdays, noon until 1 pm. But, once you get hooked, and you will, you can always expand into our regular Gracie Jiu-jitsu program, with lots of class choices and a lot of like minded women. Not sure?… try a class for free and make up your own mind. Can’t make a class? No worries. We regularly review material to keep you sharp. No previous experience is needed and athletic clothes encouraged, but not required. Questions? email GJJinSS@gmail.com . To enroll or schedule a FREE class, contact TL at 404-252-8200 or email us. 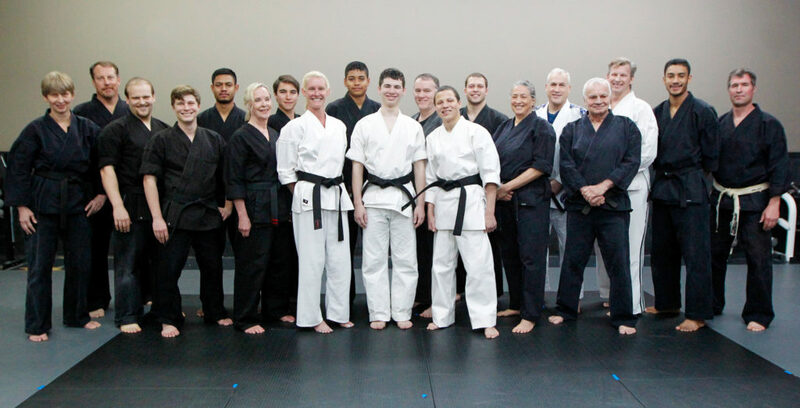 Already in the GJJ program?…this class is included in your regular tuition. Even if you are “out of shape” it’s never the wrong time to prepare to expect the unexpected. Don’t miss this opportunity to enhance your street smarts, get in shape and build your confidence! Learn MMA technicals in a fun, safe, high energy environment. Every Thursday 5:55-630 featuring drills covering: footwork, various types of striking (ie, elbows, Muay Thai leg kicks, etc. ), defending against any kind of attack including take-downs. FREE to ALL Imperatori adult/teen students enrolled in either karate or jiu-jitsu. Boxing or MMA gloves required, shorts or gi pants good, mouthpieces strongly recommended. Want to learn?…just show up. We are dropping the GJJ Wednesday noon class for the Summer effective immediately. All, we will be closed Saturday through Monday for Memorial Day Weekend. We will re-open on Tuesday for our normal karate and GJJ schedules. Take a minute to think about all those who serve and have served in the military. We thank them! We have decided to open for 3 classes this afternoon. 4:00 – 4:30 (3 year-olds), 4:30 – 5:00 (4, 5 and 6 year-olds – any belt color) and 5:00 – 5:45 (7-12 year olds – any belt color). Imperatori Martial Arts will be closed today (Wednesday, January 17, 2018). Our Karate instructors live within walking distance of the studio, and will open on time this morning for all private lessons and classes. Our Gracie Jiu-Jitsu instructors are still unable to drive due to poor road conditions, so their classes are not offered until further notice. Imperatori Martial Arts Studio will be closed Thursday Nov. 23 – Sunday, November 26. All classes resume Monday, Nov. 27th. Have a great Holiday break! Imperatori Martial Arts will be closed Saturday, July 1st – Friday, July 7th. All classes resume on Saturday, July 8th. Have a fun and safe 4th of July Week! No changes to any adult classes. If you want to enroll in a jiu-jitsu camp but are already enrolled in a karate camp, no problem, just contact TL If you have not yet enrolled, see TL or go to Imperatori Summer Camps web page and enroll and then call TL and let her know you are attending the Jiu-jitsu camp. Please know, when you look at the web page, you will see “karate” only, but we will be offering both activities during the camps, just contact TL to let us know. 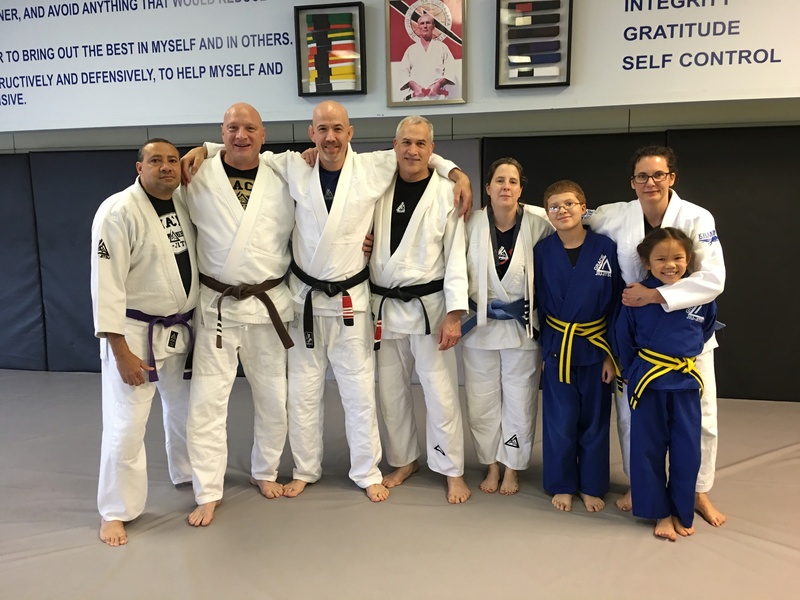 These three new Black Belts gave all they had to give and more on their recent test for Black Belt – Ashley Buero, Jacob Starks and Dov Wallack. I am very impressed and very proud of these students and instructors. Congratulations! Great day!! All afternoon and evening classes are canceled on Friday, 1/6. This also includes our ASP pickup as some schools have decided to close early. We will let you know about Saturday classes this evening. Plenty of opportunities to get some fun, calorie burning training in during the holidays! Imperatori Martial Arts will be closed the week of July 4th (July 4th – July 10th). We will reopen Monday, July 11th. We are open Saturday, July 2nd, so come in and get some last minute training in! Rest up and have a safe and fun holiday week! Imperatori Martial Arts will be closed Saturday, 5/28 and Monday, 5/30 in observance of Memorial Day. All classes and camps will resume Tuesday, 5/31. Hi all, Imperatori will be closed tomorrow, Saturday due to inclement weather. Rest up and see you next week. Personal Safety and Self Defense Seminar –FREE!! Already Been? Updated Material, stay current! With bullying and violence dominating the headlines, this experience will be focused on practical, workable tools for you to make part of your day-to-day routine. Learn the basics for increasing the odds of surviving an active shooter situation. The bottom line is prevention and survival — by defending and escaping, fighting only as a last resort. Though there are no guarantees, Peggy and Steve believe in making prevention a priority and part of day-to-day routines, so as to be better equipped when faced with threatening situations. They have been teaching self-defense seminars since the early 90’s to community organizations and businesses, including Atlanta Children’s Hospital Group, Camp Sunshine, Coca Cola, Alston & Bird, Cox Enterprises, Peak Campus Management, AT&T, etc. In this seminar Steve, Peggy and their team will lay out proven preventive safety strategies and statistics along with a demonstration and hands-on practice of simple, effective defenses and escapes against the most common attacks. The techniques are based on Gracie Brazilian Jiu-Jitsu, a form of martial arts that uses leverage techniques to neutralize a bigger person – exactly the kind of tools a smaller person needs. BTW, this Jiu-Jitsu-inspired approach has been embraced by multiple government agencies including the U.S. Air Force (for women), the U.S. Army, the Marines and municipal police departments. Our goal though is to help you to recognize and steer clear of trouble before it starts. • Space is limited-Please reserve your spot now! 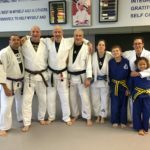 GJJ at Imperatori has a new Blue Belt! On Saturday, November 21st 2015, our own Mary Starks earned her Blue Belt, presented at Tiger Academy in Roswell. Pictured is part of the Team Tiger Sandy Springs (GJJ at Imperatori) contingent that attended to cheer Mary on. Thanks to Eddie Camden and his staff from Tiger who helped make this a great day! Classes WILL be held as usual Monday & Tuesday Nov 23-24. The studio will be closed Wednesday through Sunday Nov 25-29. The Imperatori staff wishes you and your families a safe and fun holiday week!